Welcome to Family Wellness Chiropractic Center located in Lorain, Ohio. At Family Wellness Chiropractic Center we provide Chiropractic care for the entire family. This includes babies, pregnant women, and the elderly. We strive to help our patients along their wellness journey and to educate them how to be well in their daily lives. To achieve your wellness goals we utilize the Koren Specific Technique "KST", nutrition, and lifestyle changes. The Koren Specific Technique is a groundbreaking analysis that allows us to get to the root of the problem. 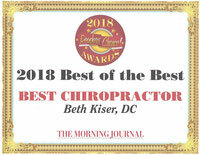 There is no twisting, turning, "cracking" or "popping" of joints with KST; instead you receive gentle, specific corrections to your spine and structural system. Most adjustments are done with you standing or sitting. 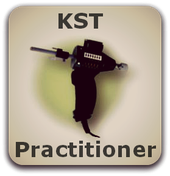 Click here to find out more about Koren Specific Techinique "KST"
We Chiropractors work with the subtle substance of the soul. We release imprisoned impulse, the tiny rivulet of force, that emanates from the mind and flows over the nerve cells, and stirs them into life. We deal with the magic power that transforms common food into living, loving, thinking clay; that robes the earth with beauty, and hues the scents of the flowers with the glory of the air. In the dim, dark, distant long ago, when the sun first bowed to the morning star, this power spoke and there was life; it quickened the slime of the sea and the dust of the earth and drove the cell to union with its fellows in countless living forms. Through the eons of time it finned the fish and winged the bird and fanged the beast. Endlessly it worked, evolving its form until it produced the crowning glory of them all. With tireless energy it blows the bubble of each individual life and then silently, relentlessly it dissolves the form, and absorbs the spirit back into itself again. And yet you ask, "Can Chiropractic cure appendicitis or the flu?" Have you more faith in a knife or a spoonful of medicine than the power that animates the living world? -B. J. Palmer DC., Ph.C. Click the following links to learn more about our technique and what we can provide for you.